Nina is well established on the professional bossa nova circuit, and she’s now permanently based on the French Riviera. 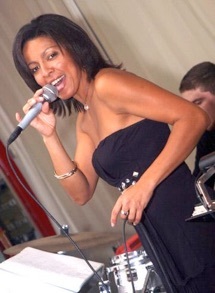 Her voice has taken her around the world, performing at prestige private parties, music festivals and latin jazz clubs. Today, she performs as a duo with the talented guitarist Jean Yves Mestre, or as a trio with the percussionist Nicolas Castagnola. All 3 are big names in jazz and Bossa Nova.